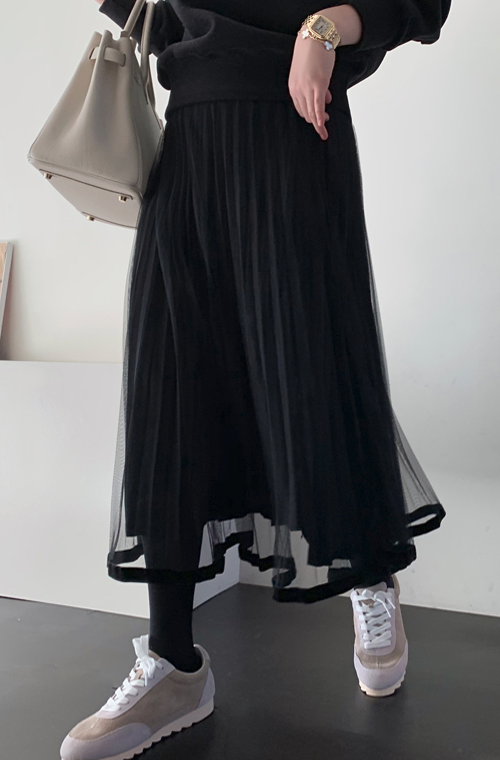 Show off some romantic charm by wearing this Sheer Layer Pleat Skirt. 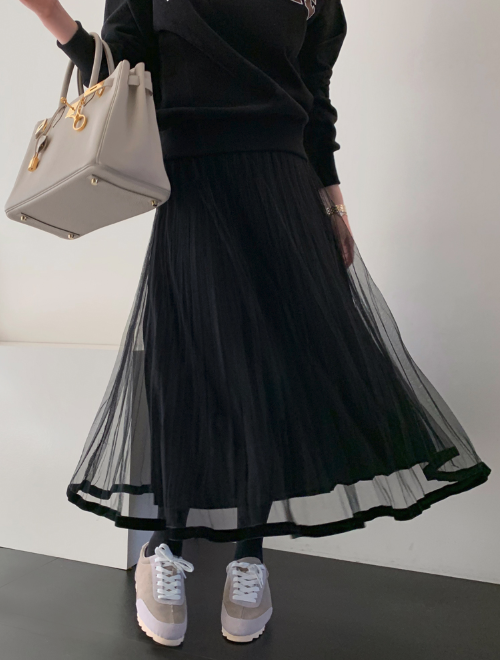 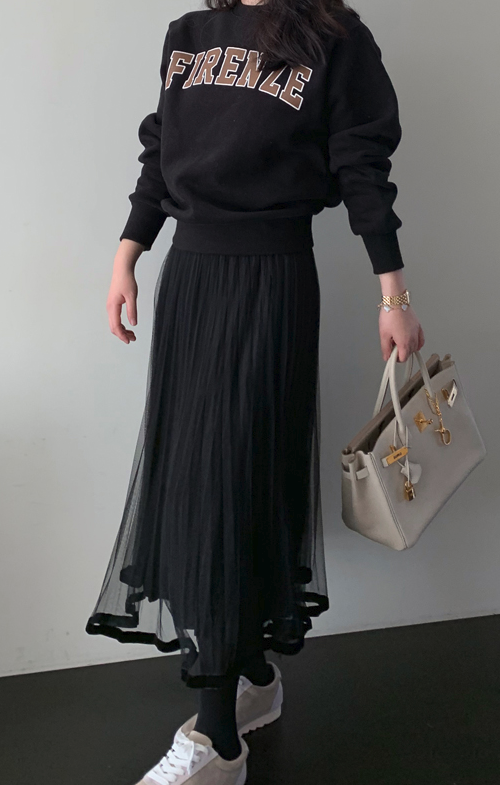 For feminine styling that slays and stays, match this skirt with a sweater and a pair of sneakers. 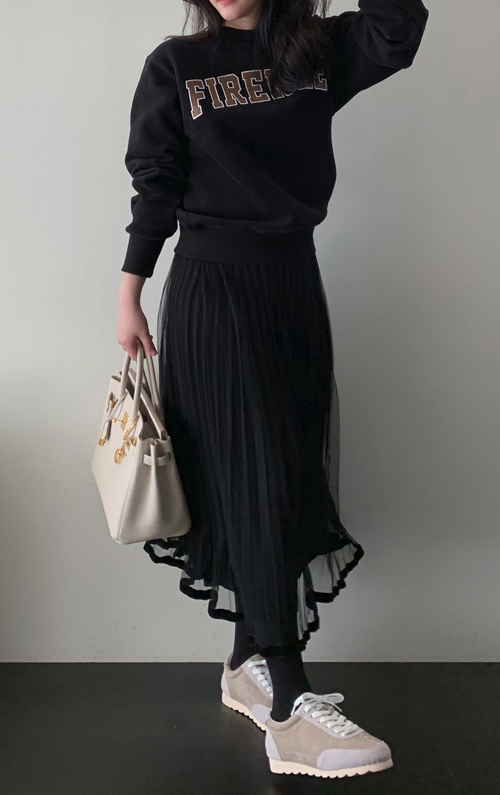 This bottom piece comes with a sheer layer, a pleat design, an A-line silhouette, and versatile hues in beige and black.